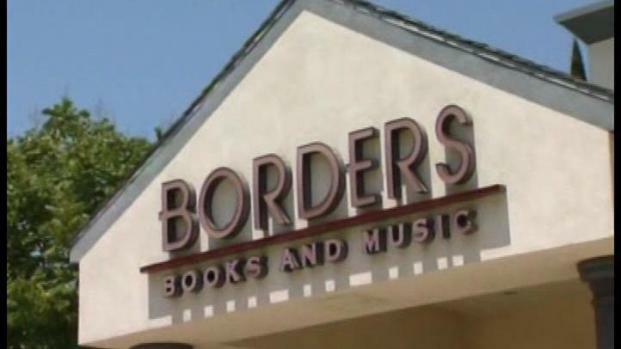 It's a sad day for book lovers as Borders begins to sell off their inventory, including books, music and even store fixtures. Book lovers from all over Southern California gathered at their local Borders on Friday to pick up some bargains as the giant bookseller began selling off inventory. Items including books, stationery, music and movies will be sold, along with store fixtures, shelving, furnishings and equipment, with discounts going up to 40 percent. One shopper bought 30 books, saving about $70. "The line was about 45 minutes, we were standing in the line," said customer Masuma Vazil. In Southern California, 524 people will lose their jobs after the liquidation is over, with as many as 10,700 chain employees hitting the unemployment lines nationwide. All 259 Borders superstores, 114 Borders Express and Waldenbooks, and 26 Borders airport stores across the country are part of the liquidation. Borders filed for bankruptcy in February. Its CEO blames the closure on a turbulent economy, a changing book industry, and the ereader revolution. "For decades, Borders stores have been destinations within communities-places where people have sought knowledge, entertainment and enlightenment and connected with others who share their passions. I feel privileged to have had the opportunity to lead Borders and play a role in the true and noble cause of expanding access to books and promoting the joy of reading," said Mike Edwards, CEO of Borders, in an e-mail to customers. "As a company, we cannot thank you enough for giving us the opportunity to serve you and the millions of other customers who have shopped our stores over the years," the e-mail from Edwards continues. "My sincerest hope is that we remain in the hearts of readers for years to come. Many thanks." The sales are expected to wrap up in September, leaving readers to start a new chapter somewhere else.